Home News Is Poker on the iPad a Possibility? Is Poker on the iPad a Possibility? If you are a true poker fanatic, then it doesn’t matter where you are, what you’re doing, or whom you are with. Chances are that you have poker on your mind. For those of us who can’t get enough action, we have our mobile devices to satisfy our cravings. If we have a MacBook laptop, there are plenty of poker rooms that have a downloadable client, such as PokerStars, Full Tilt Poker, Absolute Poker, and UB.com. 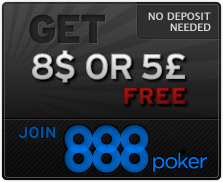 For our mobile phones, Cake Poker has a client that allows you to play for real money on any Windows OS mobile phone. Although there isn’t anything yet for the iPhone, there are plenty of poker-related applications in the App Store. With the release of the iPad, many are assessing the potential this device has for poker. If you think that touch-screen poker for real money is a far-fetched idea, think again. In many casinos in the United States, Poker-Pro Tables offer poker action through the use of touch screens. Many casinos enjoy this version of a table because it saves the casino from paying a dealer and more rake is generated from the table because it deals more hands per hour. Players’ reaction to Poker-Pro Tables are mixed, with some thinking that it doesn’t offer the fun of real casino poker, while others think it beats having no poker at all. Currently, there are dozens of poker applications out there, including bankroll trackers, simulators, and range explorers, that can help a player learn more about poker and keep track of their exploits. Many of these applications probably wouldn’t have many practical uses for an iPad, because its size prevents it from being a device you would take to a casino. Some applications, like “PkrCrusher” and “OddsQuizzer,” would have some practical use on the iPad. Players could sit back on the couch or at a coffee shop with their iPad and use applications such as these to improve their game. Some of the most popular poker games that are available for the iPhone 3G S or the iPod Touch will be completely compatible with the iPad. Both the World Series of Poker and the World Poker Tour have video games for less than $5, with each one getting positive reviews. There’s also Zynga, which ties into Facebook. The big question that many will ask is when a major poker site, such as PokerStars or Full Tilt Poker, will release a real-money application for the iPad, iPhone, or iPod Touch. The barrier for these poker sites isn’t the cost of developing an application; the issue is having an application approved by Apple. Since Apple is known to deny anything even close to controversial and buckle under any sort of social pressure, it’s almost a foregone conclusion that it wouldn’t allow an online poker site to release an App. Even though many of PokerStars’ and Full Tilt Poker’s clientele are outside of the United States, because the laws of California and the United States govern the Apple Store, the company must abide by those rules. Therefore, because of the murky and uncertain legal climate regarding online poker in the United States, there are no real money poker applications for any Apple device. For all of its coolness and edge, the iPad has its detractors. Those same criticisms that the iPad doesn’t actually fill any space between the iPhone and the MacBook apply to poker players. If you are at home and want to play real money poker, why play on an iPad when your main computer is only a few feet away? By the same token, if you wanted to play poker on the road, wouldn’t you play on your laptop or phone? These are questions that many will be asking not just for poker applications, but also for anything involving the iPad platform. Although the viability of the product remains in limbo, there’s no question that the possibility of poker on the iPad exists.